In Italian culinary lingo, salsa is a semi liquid specialty that is used to enhance foods that are prepared separately. A salsa which is prepared with butter and flour and various liquids (example salsa besciamella). A salsa prepared with the addition of eggs, oil, lemon or vinegar (example salsa maionese). 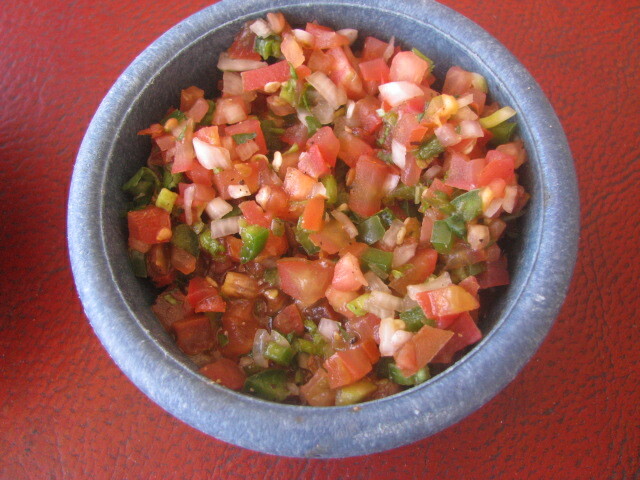 A salsa which combines ingredients such as anchovies, capers, and or herbs (example salsa verde or salsa gremolada for ossi buchi). And a salsa made from tomatoes that sometimes is also called sugo per pasta or salsa alla pizzaiola. In Hispanic American cuisine salsa is a concoction of either fresh or cooked ingredients that usually include chiles, tomatoes, lemon juice or vinegar and cilantro. Salsa is usually served with other dishes and especially with Carne Asada.